Sop thinning hair in its tracks! If your hair is weak and fine, these expert hair styling tips will help you get fuller tresses. Recent research conducted by Vigro® has revealed that South African women have become more concerned over the condition of their hair when they notice it isn’t looking the way it should, with a surprising 57% noting that hair loss and hair breakage are two of their main hair concerns. With that in mind, we think it’s safe to say that nearly all of us are longing for healthier, thicker and glossier tresses. 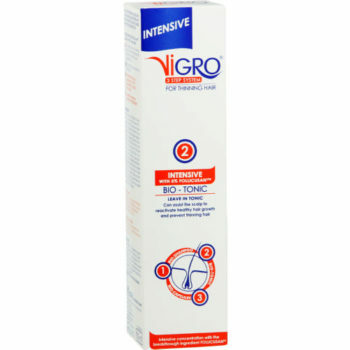 Nomfundo Majozi, brand manager for Vigro® South Africa, says that hair solutions are often given to women but the underlying cause of hair loss is hardly discussed. 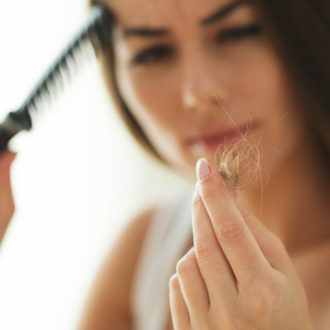 “When it comes to non-genetic hair loss, factors such as medication, stress, illnesses and diet can all contribute to hair loss. 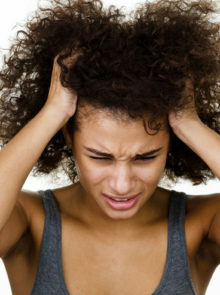 These elements can, to a certain degree, be controlled and managed to help get a handle on thinning hair,” says Majozi. Try incorporating a few stress combating activities such as meditation, exercise, or painting. Anything that will help you relax. When you feel yourself becoming overwhelmed take a step back, breath and look at things from a different angle. You can only handle things one step at a time. When given new medication, understand what the side effects may be, and if hair loss may be attributed to it, then you will know what to expect. When it comes to your diet, eating foods rich in protein, iron, omega 3, zinc, selenium and vitamins A and C can help reduce the effects of non-genetic hair loss. 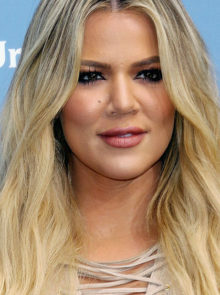 “As you pass the age of 40, the natural diameter of the hair shaft shrinks a bit,” explains A-list hairdresser Charles Worthington. “That means while you don’t necessarily have less hair on your head, your hair feels thinner, and giving it that extra volume is really vital.” Invest in some tried and tested thickening products and using them to custom build a regime of shampoo, conditioner and a hair styling tool that suits you. “Used in conjunction with each other, they will give you fabulous-looking hair.” he says. With that in mind, we’ve scoured the beauty shelves and got expert tips for an answer to every hair niggle faced by those with fine tresses, starting with four top tips from trichologist Sally-Ann Tarver. 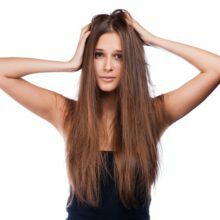 “Thinning hair can be caused by thyroid conditions,” says Sally-Ann, “particularly hypothyroidism which is seen in postmenopausal women. 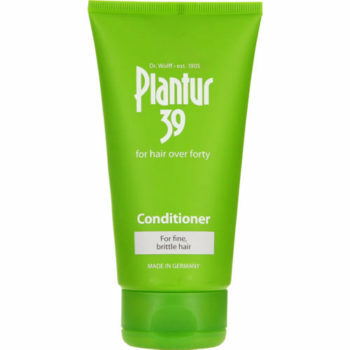 Left untreated, the condition can cause hair to thin and become dry. Other symptoms include weight gain, dry skin and tiredness.” If any of these symptoms sound familiar, pay a visit to your doctor. “This condition is best monitored and treated by your GP,” says Sally-Ann. Nicky recommends washing every second or third day to keep hair looking its best. Hair is most fragile when it’s wet, so always use warm water: too hot or too cold isn’t good for your hair. Try to be gentle: don’t over-rub it and use a treatment mask once a week. Condition is key,” says hair-care brand owner, Tiz Law. 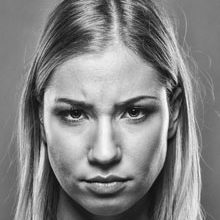 Women with fine hair often skip conditioner in an attempt to avoid overloading limp hair but this leaves it dry, brittle and more susceptible to breakages. Instead we recommend trying an intense treatment each time to reduce frizz and add shine. 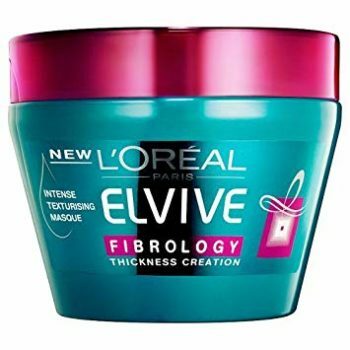 L’Oreal Paris Elvive Fibrology Thickening Masque, R75,99 for 300ml. “The current trend for undone, fuss-free hairstyles should make it easier to skip the blow dry and put down the straighteners.” The over-styled, over-blow-dried look is just simply over. If you’re adopting the unstructured go-to style of the moment, you’ll be reducing heat anyway,” says celebrity hair stylist Josh Wood. John Frieda Luxurious Volume Perfectly Full Mousse, R115,99 for 200ml. Switch to a hair care range that includes specific formulas to combat your hair loss woes. 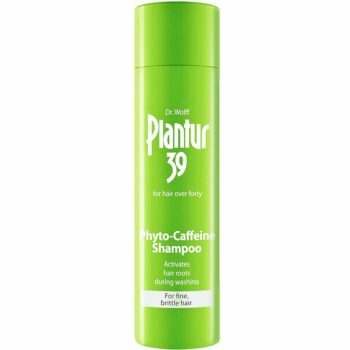 Plantur 39 Phyto-Caffeine Shampoo for fine & brittle hair, R164,95 for 250ml, and Conditioner for R144,95 for 150ml, for every day care, and Vigro Intensive Bio-Tonic Treatment, R129 for 150ml, as a leave-in treatment.